Haiti Net Literacy (HNL) is a nonprofit organization founded in 2012 by educators, social advocates, community leaders, to promote computer literacy in Haiti. Two years after the major earthquake that whacked Haiti, a group of Haitians and their fellows from the United States and Canada found out that Haiti had the lowest computer literacy rate in the Western Hemisphere. Meanwhile, they noticed the enthusiasm and eagerness of Haitians from all walks of life to acquire a wide range of computer skills and digital literacy; they decided to create this organization to address this pressing issue rooted in the lack of access to computer all over Haiti. Haiti Net Literacy works with communities all over Haiti to facilitate computer access and digital literacy. 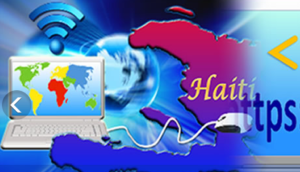 While HNL aims to provide computer literacy to Haitians of all walks of life, its top priorities include impoverished communities in urban and rural areas. Unlike most countries in Latin America and the Caribbean, more than 60 percent of the Haitian population still lives in rural areas. That’s why this organization has made rural Haiti a priority in its computer literacy program. Moreover, HNL also targets Haitian immigrants and Dominican natives living in vulnerable communities in the Dominican Republic. The computer literacty program HNL is implementing in these areas consists of providing these “partners” with technical assistance to establish the kind of organization and come up with resources required to receive computer equipment and ensure the delivery of the computer literacy program in their respective jurisdiction. Haiti Net Literacy is committed to gathering the resources required so all Haitians across Haiti can have access to laptop computers and accessories. For logistical reasons and energy efficiency in Haiti, HNL has opted for all-in-one desktops and laptops that individuals, schools, communities, municipalities and local government entities can easily maintained. HNL relies on individual donors, philanthropic foundations, International nongovernmental organizations (INGOs), intergovernmental organizations (IGOs), and international development aid agencies, business organizations and a large pool of volunteers to support this computer literacy endeavor in Haiti and beyond. This organization is primarily focused on providing the beneficiaries with the tools needed to acquire a wide range of computer skills overtime. HNL developed a comprehensive computer literacy curriculum that is open for change so it can be adjusted to meet the specific needs of individuals and whole communities. This curriculum was designed with all leaners in mind, regardless of their learning styles, abilities, and age group. Having sufficient energy available is a requirement to power up the computers and other electronic devices. According the Ministry of Public Works, only 25 percent of the Haitian population has access to electricity in Haiti’s major cities. Currently, in most towns in Haiti, particularly in the rural areas, the communities do not receive any electricity from the national power grid. Those who can afford it use alternative sources of energy: Kerosene lamps and lanterns, gas-powered generators, solar and wind energy. With such a high rate of power shortage all over Haiti, there is only one option: green energy. While both wind and solar power can generate green energy all over the Island, Haiti Net Literacy has favored solar power systems for its efficiency, low maintenance requirements, and portability. In this context, HNL aims to install solar energy systems to power up computer labs everywhere in Haiti and beyond. Haiti Net Literacy is not in the business of giving away computers or providing digital literacy to communities or organizations randomly. On the contrary, this organization aims to empower the recipients so they can take ownership of the computer literacy program within their communities and beyond. In addition, the recipient organizations or communities that Haiti Net Literacy helps acquire any kind of IT resources have to show they have developed the capacity to ensure the maintenance of the materials and sustain the overall computer literacy program within their environment. For computer/digital equipment and other material resources you want to send us for the Computer Literacy Project, you may ship them to our mailing address in Florida or Massachusetts. In case you are unable to cover the shipping fee, Haiti Net Literacy will pay for it. Please send your donation(s) to our mailing addresses. Posted in Digital Inclusion, Digital Social Equity, Economic Development, NGO/NonprofitLeave a Comment on Haiti Net Literacy has built an international ecosystem to increase access to information technology, promote computer literacy, and uses solar energy to help power the technology. Net Literacy rarely endorses a product or service but A Platform for Good’s Digital Citizenship Cards have our seal of approval. The cards cover the basics from safety to online responsibility, and are meant to give parents the confidence and skills to have meaningful conversations about digital citizenship as their kids return back to school this year. (There’s even a card about digital and media literacy!) The cards can be viewed online or can be downloaded, printed, and turned into an old school flashcard deck. Public and private sector organizations are teaming up to bridge the digital divide experienced by millions of Brazilians. The initiatives led by the Rede Marista de Solidariedade (or the in English the Marista Solidarity Network) – a Porto Alegre-based non-profit organization focused on social inclusion and solidarity through social projects – seek to help bridge the digital divide in Brazil by using the civil society approach. Through the Marista leadership, the first Computer Refurbishment Center was created in Brazil in 2005. Inserted in the “Computers for Inclusion” program developed by the Brazilian Ministry of Communications, the project has created more than a hundred direct jobs and enables young individuals to handle new technologies. The work carried out by the Computer Refurbishment Center has so far benefited thousands of users in telecenters and schools with the donation of refurbished computers. The project also offers training in hardware and free software to about 100 young apprentices in a state of social vulnerability. New in the community of Nova Santa Marta – located in the Rio Grande do Sul city of Santa Maria – the region with the lowest human development indexes of the state, the Marista network broke new ground by creating its Center for Digital Inclusion. The center focuses on areas such as meta-recycling, free robotics and telecenters. Both specific units are working on the Alchemy Project, a partnership with the Ministry of State, which allows slot machines (which are illegal in Brazil) to be transformed into computer equipment and telecenters. Computers and access to the internet are fundamental to a child’s education. But what about families who can’t afford a computer, like the children who are in the foster care system throughout Whitfield County, Georgia? A group of Whitfield County foster children took part in a Digital Literacy Camp that taught them state-of-the-art computer skills. The students were taught Microsoft Office by certified professionals from Instructional Access Inc. (http://www.instructionalaccess.com), a California based company. After the 21 hours of weekend training, the students were allowed to take home the laptop computer and color printer they learned on at no cost. Each of the 23 Whitfield County participants were members of foster families and ranged in age from 14 to 20. The children chosen for the program were at-risk students who excel in school, but can’t afford to buy a computer themselves. Many were still in high school, while others were working on college degrees.